We're entering the holiday season, one filled with 'I wants' and wish lists. In the midst of all of this, how do we teach our children to be grateful for what they already have in their lives and how do we start cultivating this sense of appreciation at a young age? We've gathered 5 ideas to do just that. These conversation starters are an amazing way for your children to focus on the many good things that are present in their lives each day. Use one each day or all at once to have a bigger discussion – either way it's a great way to focus on key people and things that we should all be thankful for in our lives. This can be an activity for the entire family, afterall, our little ones often look to us as the example, so showing them how to reflect on what we are grateful is another way to lead them in the right direction. Start saving milk containers now and put together these festive turkeys for your Thanksgiving table. 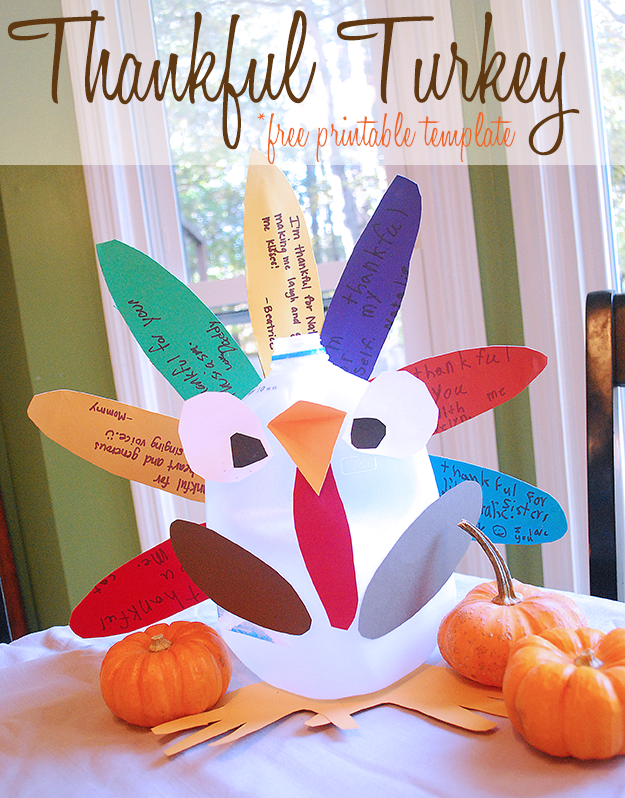 Krystyn, from Really, Are You Serious is a mom to four little ladies and their Thankful Turkey centerpieces are the perfect way to help your younger children focus on what they are thankful for while creating a decorative item for your Thanksgiving table. 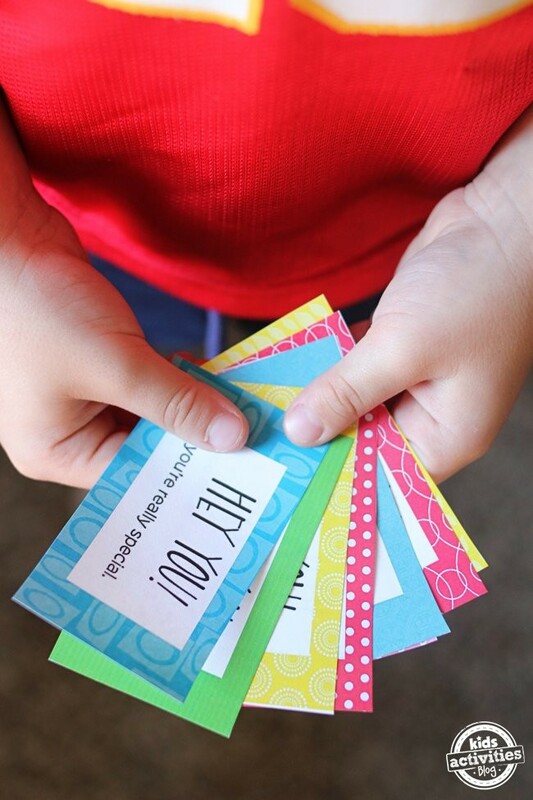 Encourage your kids to think about others – their friends, their teachers and siblings by using these compliment cards from Kids Activities Blog. It's important for kids to think outside themselves from time to time and learn to build others up, this is a lovely way to do that. 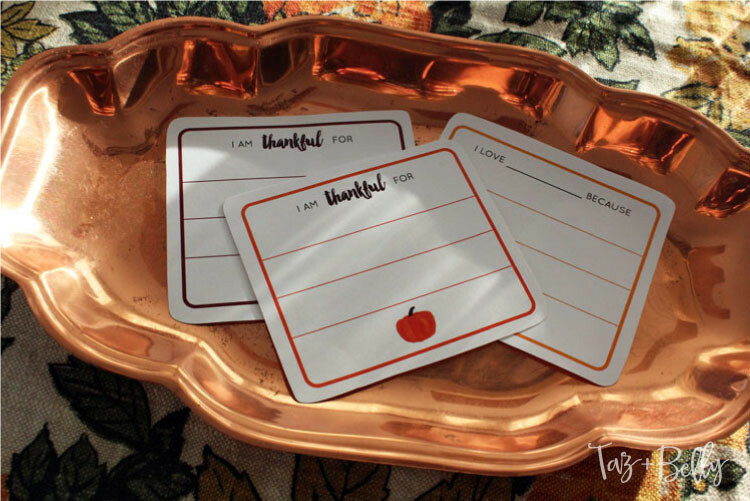 Use these 'I am thankful for…' printables from Oh My! Creative to have your children write out daily statements focusing on the big and little things they are thankful for in their lives.Then, fold them up and place them in a jar. At the table on Thanksgiving Day, read them out to the family throughout the meal. 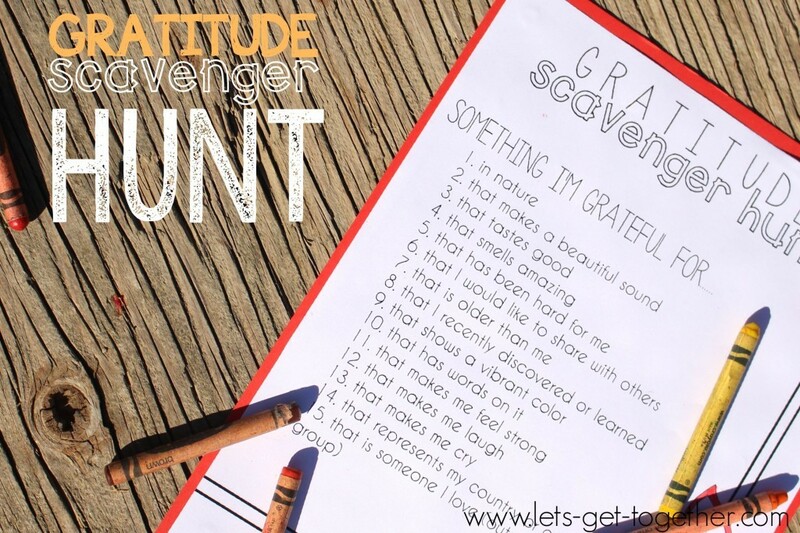 If you find that your children are very focused on what they don't have or what they want, versus all of what they can be grateful for this holiday season (a common issue this time of year) take them on a little scavenger hunt like this one from the blog Let's Get Together. Have your big kids help your little kids (cousins can help too!) and work together as a family to focus on all of the good in their world. All of these activities in isolation or together have the potential to bring some great perspective into your child's life, at any age. The most important part is to get the conversation flowing about how fortunate they and you are as a family, already. It's a great way to start off the holiday season. How do you teach your kids to be grateful? Share your tips, faves and more in the mom.life app with other moms like you!